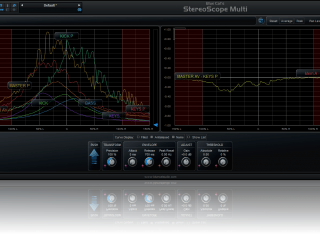 "A unique multi-track stereo analysis tool for mixing and mastering." 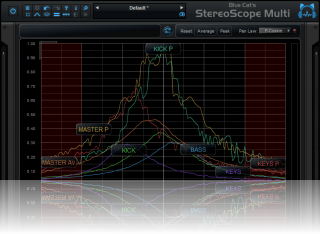 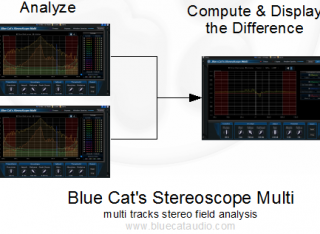 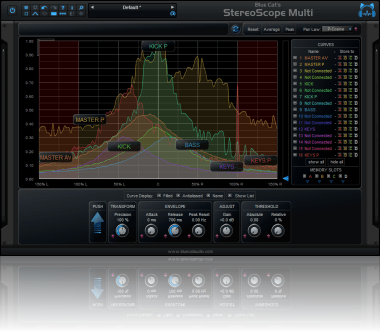 If you are looking for a stereo field analyzer specialized in single track analysis with audio to MIDI capabilities, check our Blue Cat's StereoScope Pro plug-in. 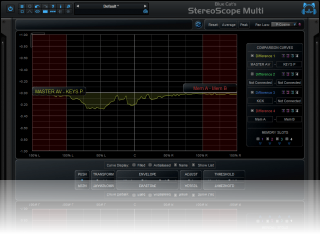 Increased the default output data rate (from 20 to 50 Hz) for more precise display. 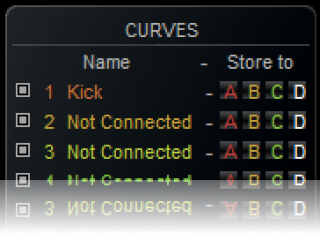 Several pan laws can now be selected to match your preferences. 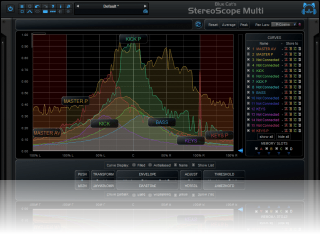 New diff view to compute and visualize the difference between several stereo images. 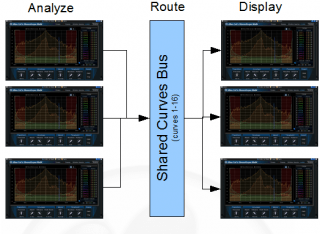 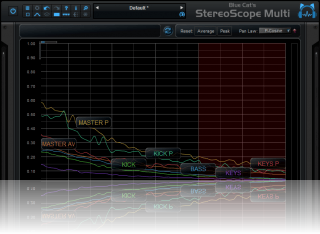 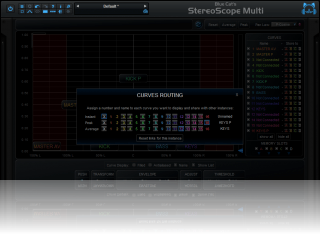 The graphics rendering has been improved for smoother analysis curves display in some hosts (such as Cubase).